If I had a Nickel for every time someone asked me how to make their foundation or makeup in general last longer, I would probably have enough money to own my own private island. No, but seriously. It took me forever to figure out how to make my foundation last all day, and even now I am still learning different techniques to use. The fun thing about makeup is that it is an ever-growing thing. There isn’t just one way of doing things or just one product to use for things. You can play around and make it your own. With that said, I figured I would write this post and try to explain how I make my makeup last, the things that I use, and little tips that I’ve learned along the way. Keep in mind, I am in no way an “expert” I don’t believe any makeup artist is, because like I said before, Makeup is an ever-growing thing. You make it your own with whatever works for you. These are tips and tricks that I use and have worked for myself and some friends and family, so feel free to try these products, tips, and tricks, and let me know if they worked for you! First and Foremost, Skincare is the most important part of makeup application. Just like an artist, you want to have an even blank canvas that you can paint on easily. Throughout the years I have noticed that when I wasn’t taking care of my skin, it would become either extremely oily or extremely dry depending on the weather/season. Now, for most of us that is normal, for me on the other hand, it was not. I would have little bumps all over my face, and a lot of the time my foundation would stick to dry patches but then slide off my face in other areas. With that said, I learned along the way that skincare was extremely important for makeup application, it just makes things so much easier and things look so much smoother. Once you figure out whether you have oily, dry, or a combination of both skin types, your life gets that much easier. Trust me. You want to make sure that the face washes you are using are made for your skin type because many times it can dry out your skin, make it oily, give you acne, rashes, etc. So you definitely want to make sure you are using the proper type of face wash. Same goes for toners and moisturizers. If you have oily skin you still must moisturize just as much as us dry skin folks. If your skin is hydrated it is easier to apply makeup and have it last all day. *Oils and serums can be your best friend as well, especially if you leave them on overnight. They can help repair the skin and help with hydration, wrinkles, collagen, etc. * My Skincare routine is not a set in stone routine, a lot of times your skin gets accustomed to the same products so I like to switch it up and see what works in the moment. 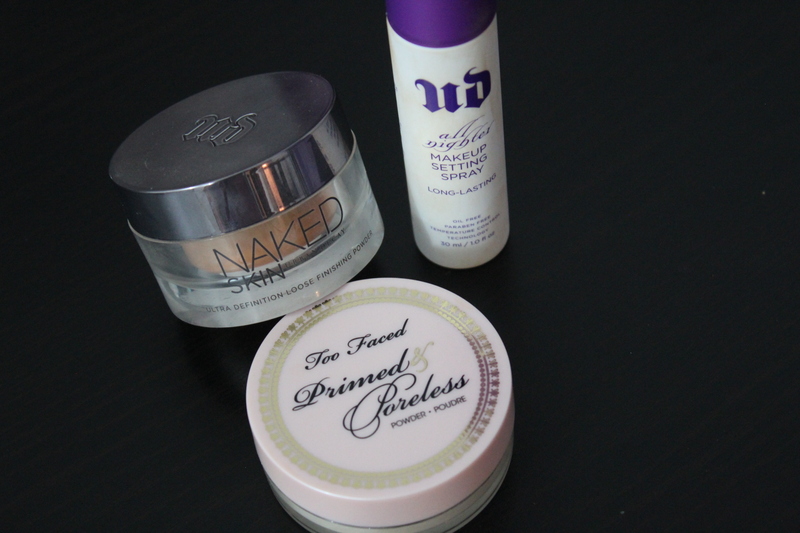 Before I get into the actual foundation process I want to quickly touch on primers. Some people don’t like primers and that’s fine, but for me I think it works wonders. I have very large pores so when I apply foundation you can pretty much see those pores right through any foundation, even if it is full coverage. When I apply a primer underneath my foundation not only does it help smooth my skin texture, but when using the right primer, it can help fill in pores and also help my foundation last longer. There are so many different primers out in the makeup world so try some out and see what fits best with your skin type. As of now, I can’t say I have any holy grail primers, but I do have a few favorites that I tend to go back to from time to time. Benefit Porefessional (Great for those with large pores, also helps with long lasting foundation & smooth skin). *Primer is applied after moisturizer but before foundation. There’s this misconception out in the makeup world that says any foundation is supposed to last all day with no touch ups. False. You’re going to have to touch up at least once and not all foundations are long wearing foundations. For those of you who want long-lasting foundation, you have to look for anything “long lasting” or “longwear”. Most foundations that I have personally tried don’t last more than 4-5 hrs without needing a touch up or just fully sliding off my face. 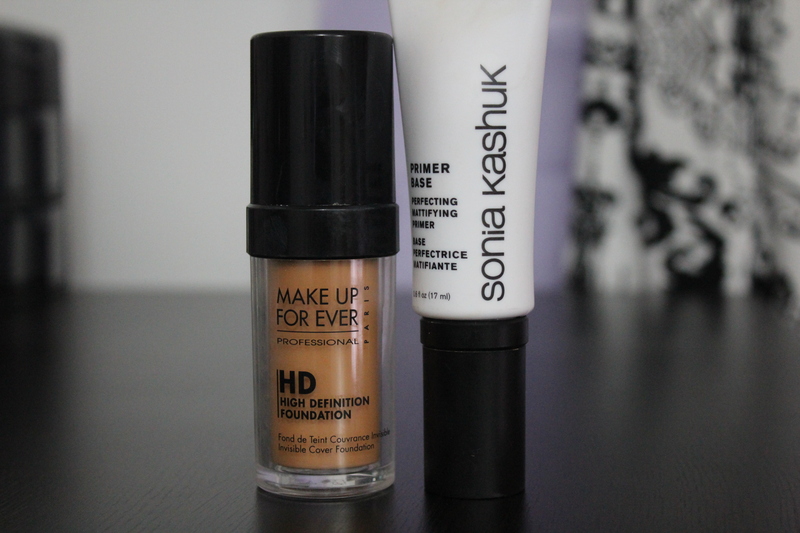 When I do need a long lasting foundation I make sure to use the ones that are meant for that purpose. * Start with a light coat of foundation and gradually add more as needed to amp up the coverage. (If already full coverage foundation, be careful you can look cakey if you continue to add more to your first coat). Patting your foundation using a damp sponge or Beauty Blender rather than swirling it around with a brush helps the foundation settle into skin and helps get rid of any excess foundation that lays on top of your skin (also helps give you an airbrush finish). Last but definitely not least, you want to finish your foundation application by setting it. Setting your foundation can also help make your foundation last longer, especially if you have oily skin. You can use a powder foundation (loose or pressed) or a translucent powder. If you want that little bit of extra coverage a powder foundation would be the way to go, if you feel you have enough coverage with your foundation alone then a translucent powder will work best. Urban Decay All Nighter Long -Lasting Makeup Setting Spray (Best setting spray ever). * lightly sweep the powder over your face with a large powder brush. A little goes a long way, you do not want to look powdery or cakey. Spritz a little setting spray to get rid of that powdery look and to also help set everything in place. These are basically all of my little tips and tricks and some of the products I’ve been using to keep my foundation lasting all day. I hope this was helpful and if you want to see a video of my foundation routine click here. 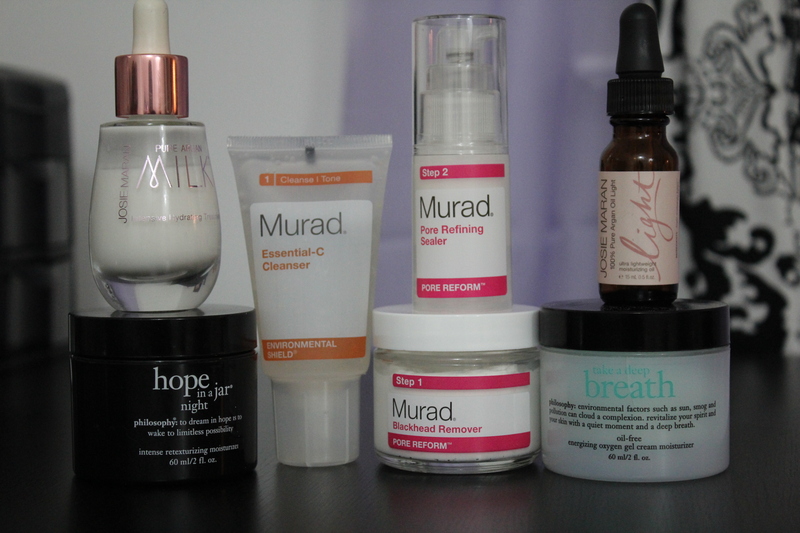 (I have switched up a few products here and there but hopefully this helps). As simple as that, you will be on your way to soft and smooth skin. because both lead to premature aging, drying and yellowing. You probably already know how your skin tends to react to different seasons, but did you know that some people need two different types of moisturizers depending on the season. was a enjoyment account it. Glance complex to far introduced agreeable from you! Informative write-up, exactly just what I wanted to locate. which presents these thungs in quality? My brother recommended I could like this web site. Many thanks!